"Logan" is the bittersweet end to Hugh Jackman's career as Wolverine. The film depicts Logan as a broken man amidst a world that he feels ostracized from. When presented with a young mutant with some striking similarities, Logan chooses to embark on a violence-filled trek as he comes out of retirement to be a hero one more time. Logan is the most violent film in recent memory, and the film holds nothing back in its action sequences. From gunshots to impaling claws, this movie is not for the weak-stomached. The action choreography deserves nothing but praise, but viewers should be mindful of the violence the movie contains before purchasing their tickets. The story does a great job of bringing Logan's 17-year character arc to a close. Jackman first portrayed Wolverine in 2000's X-Men, and since, he has become a fan favorite among followers of the superhero movie genre. Patrick Stewart and Dafne Keen play standout supporting roles, and Boyd Holbrook plays a charismatic villain, not dissimilar from the villainous charisma displayed by Negan on "The Walking Dead." "Logan" is absolutely worth checking out, but be warned that the violence and language in this movie are both brutal. This is NOT a family film, and it certainly is not a film to take young children to. 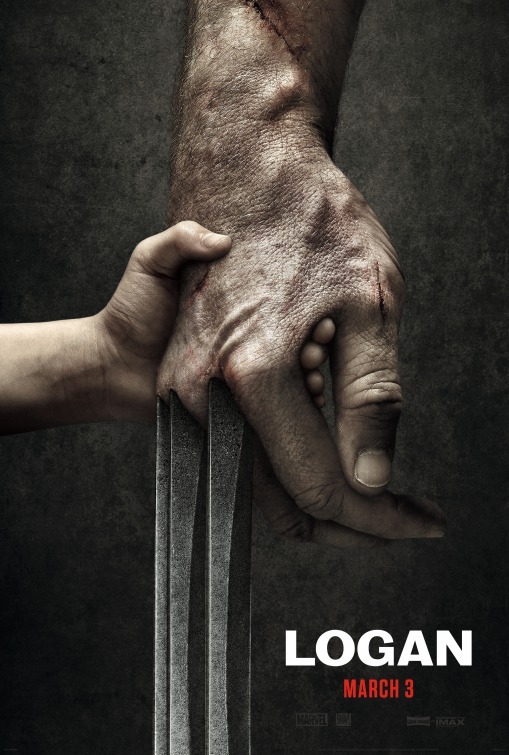 "Logan" hits theaters Friday, March 3rd, 2017.